Home Dating Advice Can a Messy Home Mess Up Romance? 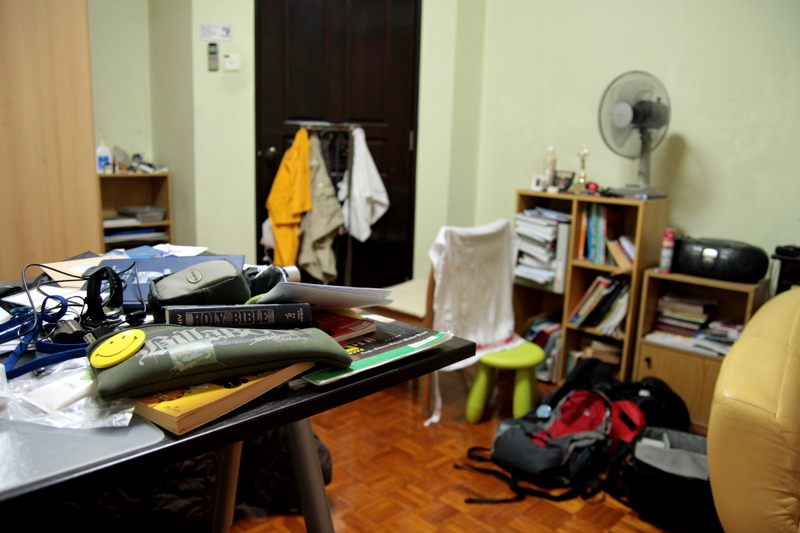 Do you secretly think you might be a candidate for the A&E show “Hoarders”? Get it together and try to keep it that way. Etiquette is all about having the courtesy to make others feel comfortable while also respecting yourself. And what better way to do it than to start by removing that pizza box from under the couch cushions? Remember: you’re not just doing it to be a good hostess. Studies have shown that a clean environment (specifically one scented with citrus) actually makes others more inclined to be more generous and giving. So if you’re getting tired of picking up that tab at dinner, try a little Pledge on those end tables and see what happens. Not sure where to begin? Experts advise to start small, room-by-room. Go through those old catalogs, bills and takeout menus that have been sitting on your coffee table and kitchen counter for weeks. Be ruthless when throwing them out: 99 percent of this stuff can also be found online. Take it a step further and save some trees in the process by registering to be removed from mailing lists. Next, clean the surfaces you’ve unearthed. Run a vacuum, get the dust rag out and generally alleviate your allergies with a quick once-over. Finally, get organized for the long run. Invest in some of those nifty home-organization devices like shoe cubbies, crates, and under-bed storage containers. Placing stuff in a designated area (and out of sight) can make your place suddenly appear larger, airier and more welcoming. If you’re still at loss, enlist help. Sacrificing one trip to Sephora to import some cleanliness can be a life-saver: And there’s no telling how many lost lip glosses you’ll turn up in the process. The key here is persistence. Like a weave, a wax or anything else worthwhile, routine maintenance is crucial. Stay on top of things before they come cascading down upon you and your date. Because with a new, welcoming atmosphere, you should both be spending more time there, some of it naked. And if all else fails, invite Niecy Nash and her minions over to “Clean House.” At the very least, watching the show will remind you you’re not alone in your campaign against clutter.